Yes folks. The greentards in Sacramento still want you to think there's a drought! My oh my! Here’s more proof the drought is over and the greentards in Sacramento and elsewhere are full of untreated sewage. The San Francisco Chronicle has an article today titled ‘Sierra snowpack is one of the biggest on record.” Ummm…hmmmm….so how big is it? Sierra Nevada snowpack – a key factor in determining the state’s water supply each year – stands at 165 percent of average, a level not seen since 1995 and one that puts the 2010-2011 winter near the top of the record lists. Statewide, the snow-water content is 165 percent of the April 1 average, compared with 102 percent last year. 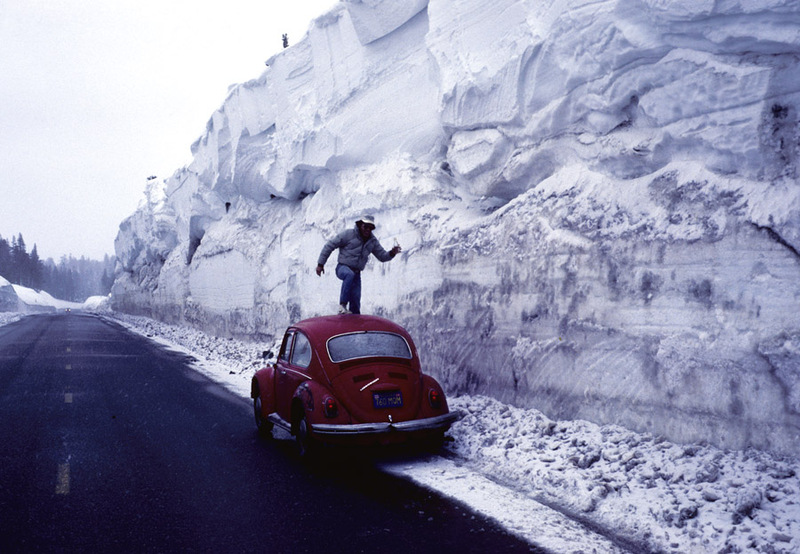 On the same date in 1995, snowpack was 180 percent; in 1983, it was an astonishing 225 percent. So how many feet of snow? Well just read this one! In contrast, a staggering 740 inches of snow have fallen at Donner Summit this winter – one of only four years since 1900 in which totals exceeded 700 inches, according to the Department of Water Resources. The average snowfall for the spot is about 400 inches. Let’s see…..740 divided by 12 = 61.66 feet. Drought? What drought? What global warming caused drought? Oh! I know! The warmers will soon be bantering about how that 61.66 feet of Sierra snow is caused by global warming.